This modern holiday apartment is located just 450 meters from the beach. With a fully equipped kitchen and two terraces, the design encourages eating out in the hot southern Spanish climate. Cuevas del Almanzora is a typical Spanish market town in Almeria Province, Andalucia, an hour’s drive from Almeria Airport and five-minutes from neighbouring Vera and its peaceful palm-lined beaches. Named after the famous caves at the mouth of the Almanzora River, north of the Sierra de Los Filabres mountains, it is a region of unspoiled natural beauty, steeped in Roman and Arab history. Discover a vast mountain landscape, pretty whitewashed pueblos and golf courses, while its municipality of the same name boasts a varied coastline and a relaxing Andalucian way of life that epitomises the charms of authentic Spain. Untouched by tourism, Cuevas del Almanzora will appeal to culture vultures who’ll love the artistic essence of this rural town. The 16th century Marquis de los Vélez Castle, in the centre, is its cultural gem, home to Antonio Manuel Campoy Museum and the town library with its historical archive and Museum of Archaeology. It is also the local police station and art gallery, displaying stunning collections of 20th century art from the likes of Picasso and Miró. But it's the landscape’s fascinating cave houses in the area of Calguerín that draw in holidaymakers year after year. Learn about the caves’ fascinating mining history at the Cave Museum, 1km from the main urban hub. In the evenings enjoy a delicious local stew followed by rustic wine and cheese at one of the many traditional restaurants. Cuevas del Almanzora's surrounding natural landscape is an outdoor playground perfect for golf, scenic bike rides, hiking and camping. 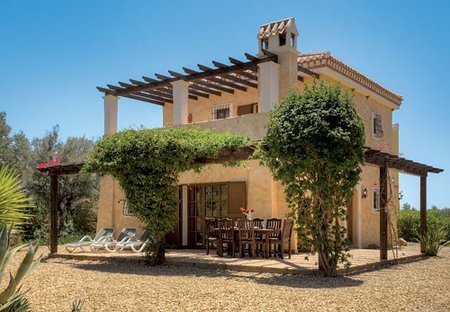 Practice your swing at the award-winning Desert Springs Golf Club, or venture off the beaten track and explore the rural hiking trails of Sierra de Los Filabres and Almagrera mountain stretching along the coast from Villaricos towards Murcia. Take memories home with you, with a market souvenir and wander around the maze of stalls selling everything from fresh local produce to leather goods. Some of these markets are centuries old and well worth a visit if only to mingle with the friendly locals and revel in the atmosphere. The family-friendly beaches and quiet, calm water coves of the surrounding district are ideal for swimming, with a coast stretching from Pozo del Esparto to the fishing village of Palomares. Enjoy a gentle Mediterranean sea breeze, fine sand and water sports from wakeboarding to canoeing. Immerse yourself in the underwater world of Villaricos with its ecosystem of exotic flora and fauna, ideal for snorkeling and scuba diving. Enjoy a day of fishing and see who brings in the catch of the day in El Calón, with its dark sands, located between Villaricos and San Juan de los Terreros. Cala Panizo's beach is another quiet spot boasting gold sands, calm waters and picturesque reefs, while Vera's wide promenade, three beaches and Aqua Vera Water Park is guaranteed to keep the kids entertained. Cuevas del Almanzora is approx. 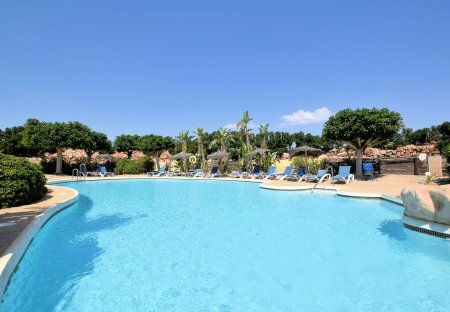 a 1 hour drive from Alméria Airport, which is less than a 3 hour direct flight from the UK. Alicante and Murcia airports also serve Almanzora. Cuevas del Almanzora enjoys the warmest, sunniest and driest winters of the whole of the coast of Spain and Europe! Temperatures can reach 31°C in August, with an average of 19°C in January. Discover the underwater cavern of La Catedral and the remains of the old loading structures from Villaricos’s mining past with a snorkeling session in Villaricos!